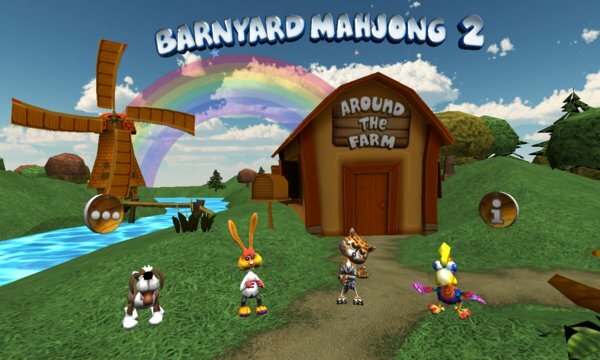 "Barnyard Mahjong Free 2: Around the Farm" is a fun new way to play mahjong solitaire where you literally can spin around the farm! 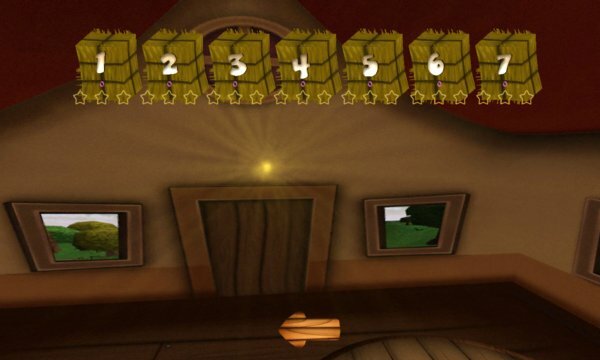 The barnyard themed tiles are placed on 3D planes and you rotate around the structures to find the matching tiles. With a down on the farm theme and lots of fun animal sounds you and your entire family will enjoy hours of fun as you eliminate all the tiles from the board. It comes with 28 puzzle layouts and all puzzles are laid out with random tile orders so you can play them many times. Relax and enjoy this beautiful game today! ─ Woof! Woof! Match any dog to any dog. ─ Meow! Meow! Match any cat to any cat. ─ Quack! Quack! Match any duck to any duck. ─ Beautiful graphics and barnyard theme that the entire family can enjoy! ─ 28 different puzzle layouts with a different puzzle each time. ─ All tiles are always open. If you can click it you can select it. ─ New point and star system designed to help keep you focused. ─ Great background music and fun animal sounds.